1.Separate the water tank and the base. 2. (unscrew the cover)add water and add pure water as much as possible. 3. Add 2 drops essential oil . 4. Close the cover and tight it. 5. Start up , adjust the amount of fog. 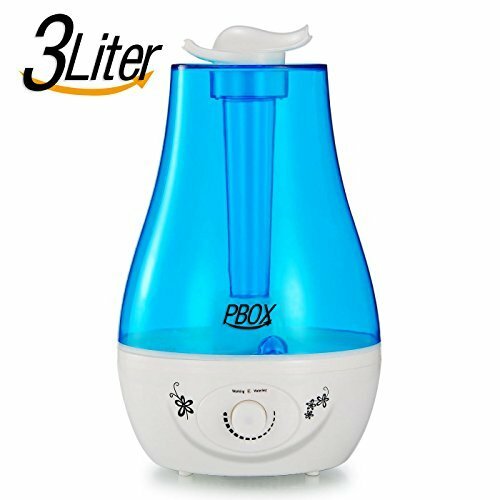 1.Don't put the humidifier on your head while you sleeping , It will make you fell headache.Sleep humidifier should be 2m away from you. 4. Please add water below the Max line. 5. The oil isn't included. 6. Please don't use the hot water. 7. Please don't use the synthetic perfume. In addition, please follow the dosage 2-3 drops of essential oil for every 100ml water. Don't over the dosage. 8. The diffuser will not operate without water. 9.This is a normal phenomenon for quality testing if some tanks have a little water vapor. 3-liter tank capacity provides ideal coverage,for bedrooms, offices, and other medium-sized rooms,Ultrasonic cool mist technology safely moisturizes the air for up to 12 hours of continuous operation so you can breathe easy and get more restful sleep. Dual 360° mist nozzle make it easy to adjust mist direction and speed to fit your comfort level. SILENT OPERATION - Forget the excess noise! Our design is crafted to be extremely quiet, making your overall experience even more pleasant! There is absolutely no heat, no vibration, buzzing or any other annoying operational noises. It is perfect to use in any room, anytime, day or night. Automatic shut-off safely turns humidifier off when water level is low or the water tank is removed. If you have any questions about this product by PBOX, contact us by completing and submitting the form below. If you are looking for a specif part number, please include it with your message.